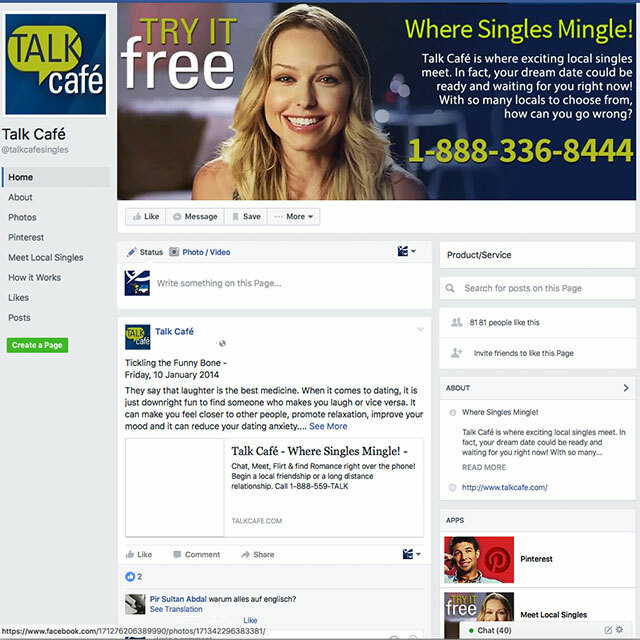 Talk Cafe is an exclusive system that allows you to meet other singles while maintaining your privacy. Please remember these important guidelines to help you have a great time every time you call. Talk Cafe assumes no responsibility or liability for the actions of callers or meetings between callers. You must be an adult at least 18 years of age to use Talk Cafe. Be honest, but be discreet with your public greeting. We value your privacy and ask that you be careful about giving out your last name, contact information or any other personal information. Don’t get so excited about a new connection that you leave your good judgment at home. If you plan on meeting someone that you talked with on Talk Cafe, meet in a public place, tell a friend your plan and give yourself a way out if things don’t feel right.